Travel stories by desis for desis. Brought to you by X! Travel Club – You deserve a holiday! This article is written by Neeraj Narayan. When Neeraj is not busy watching cricket,dimpling or doubling up as a Dilli tour guide,he likes to masquerade as a travel/sports writer. Once upon a time Julius Caeser said “Veni vidi vici”. When translated to english it means “I came, I saw, I conquered” but methinks he was showing off a bit. Not that we should grudge him that joy, face it we are talking about a dude who captured half of the western world and managing to look serious at it even though he was wearing a skirt the entire time. Anyway, what it also means is that the guy got to see a lot of beautiful places in the world, something that we all hope and dream to do too. There maybe a lot of reasons why people hesitate to travel to international shores, and the prime one is the costs international travel involve. Friends, Romans and countrymen, let cost no longer be a reason that dissuades you from travelling international for today we bring to you, after days of meticulous research (appraisal approaches, hence the drama) a list of the best international holidays under Rs 40,000. Take a look and if ye love one so much that you plan that as your next holiday, well mate, you can come and hug me, but anything beyond that then you better be necessarily female. If Thailand was the Batman movie, Phi Phi would have been its ‘Joker’. If the former were a game of Tennis, Phi Phi would be its Federer – sublime and delicious. It is Thailand’s poster boy and superstar island. Approach the island on boat, and it looms up from the sea like an intimidating fortress. Towering cliffs give way to a beach-fronted jungle, and twenty bucks says that you shall run across the sand like a child, yelling with joy as soon as you set foot on the island. 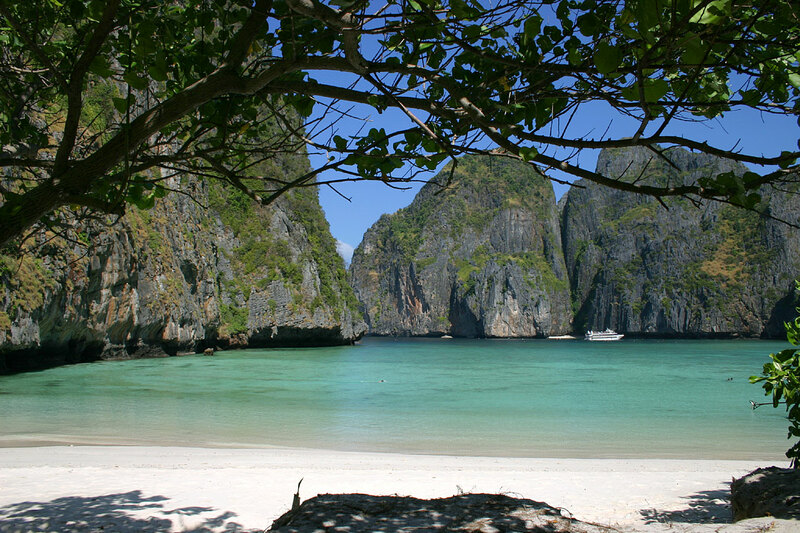 Many a discerning traveler would say that Phi Phi is probably the only reason why one should land at Phuket. Unlike some of its bigger cousins like Phuket and Pattaya, the Phi Phi islands are still unravaged by the evils of tourism. While Phi Phi Don Island has no roads and just miles of white sand, pretty cottage resorts (budget prices) and a sea rich with coral reefs, the smaller Phi Phi Ley does not have any inhabitants at all. It is as if you have stepped back in time, and visited one of those Pirates in the Caribbean islands. They say that charmers are always cocky of their appeal, at superb ease with themselves, and have an air of freedom that cannot be tied down and will leave you yearning. Phi Phi is no different. The Sri Lankans always have a smile to offer. Growing incredibly as an international tourist destination, the island country has a lot for everyone. What we suggest is land at Colombo, rent a car and head off along the western coastline towards the south. Hikkaduwa and Bentota are the in-demand seaside destinations, offering a variety of water sports. If you want to explore the heart of the sea and go scuba diving, Hikkaduwa is the best choice. 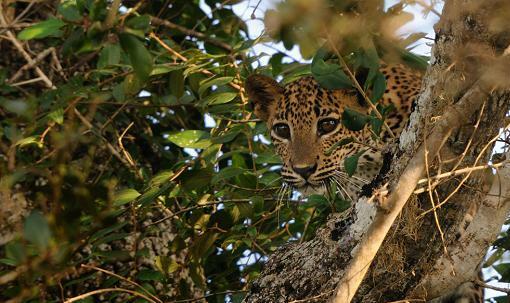 Must, must also see Yala National Park with its leopards and elephants and trees who’s tops are right up there with the clouds. It’lll just take you back to the Jungle Book movie you saw as a child. Next is Dondra, the best point in Sri Lanka to go whale watching. Imagine seeing a blue whale, in its imperious best, riding the ocean like a true monarch should. Quite something, non? Tip: If its history and culture that you love, you can wipe out the above and instead head upwards from Colombo and see the culture triangle of Dambulla, Sigiriya and Anuradhapura. 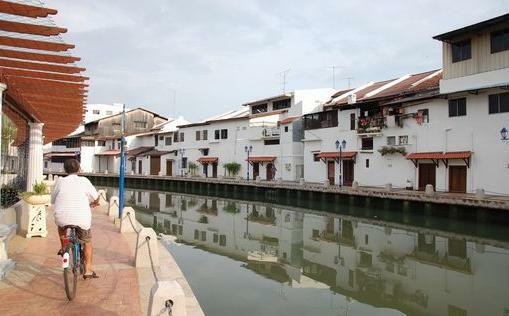 Malacca has so much colour and character to it that it is easily on our list of favourites in Malaysia. Walk through the streets and you’ll never feel like keeping that camera down for a minute. Five hundred years ago, an extraordinary empire rose and fell here, its power and dreams outmuscled by Europe’s colonial might. The city was so coveted by the European powers that the Portuguese writer Barbarosa wrote “Whoever is Lord in Malacca has his hand on the throat of Venice.” And even now as you move through the city, you can see the Portugese influence on the land, in its churches and buildings. Top in Malacca’s list of attractions is Jonker Street in Chinatown and a visit there will make you feel like you are in a 70s movie, in the middle of the best of the Orient. Shop for antiques and clothes and eat in a roadside café for Rome isn’t the only place where you must do as the locals do, kids. Melaka (local name) might just be the best photo album you ever had. The only problem with Koh Samui is that you cannot target one particular set of people to visit it. 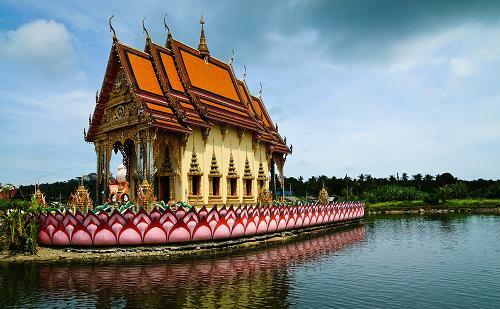 Samui island has great white beaches, great diving spots, great coral reefs, great waterfalls and great tropical forests full of great exotic wildlife and therefore it is loved by hippies as well as luxury lovers, honeymooners as well as adventure junkies. As the expression goes, “Great snakes” , why I haven’t been there yet!!! If you love dancing and night life, a great way to meet new people here is to attend the famous Full Moon Party held every month. It is the lover of history who visits Cambodia, that man who appreciates art and culture, that girl who wants to learn more about the world. It is a magical place, a mysterious kingdom with a history steeped in both grandeur and despair. 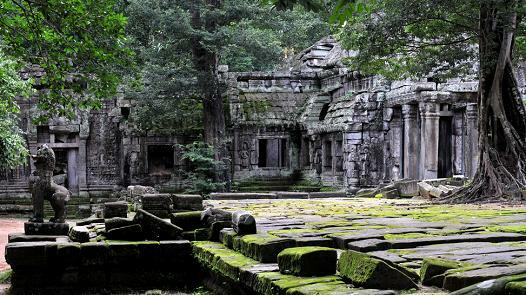 A visit to Angkor Wat – a wondrous fusion of spirituality, symbolism and supreme symmetrical architecture – is of course the top agenda of this trip, but it would bode you well if you read a little bit about it’s history and probably the country’s too before you embark on this heart-warming sojourn. Singapore is popular for a lot of things – each attraction grander than the other. But what many people do not know is that there are a number of beautiful Indonesian islands just a couple of hours distance by ferry. 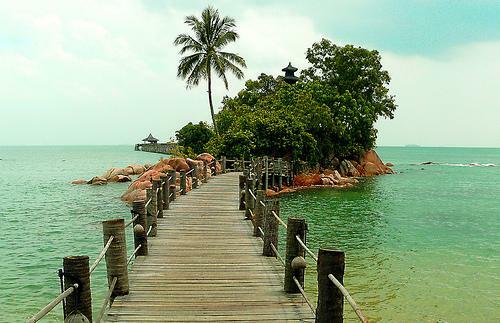 One of the best among these is the tropical island of Batam. Just a 30-minute ferry ride away, its top attractions are its brilliant yet inexpensive water sports and spa packages. These packages (include ferry transfer, accommodation for a night and free breakfast) are a steal compared to those offered in Singapore. 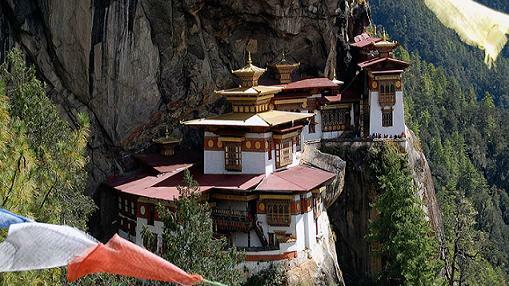 Probably the last remaining great Himalayan kingdom, Bhutan is as unique as a country can be. Strongly Buddhist, this is a country where the rice is red, chillies are a complete dish in themselves and buying cigarettes is (oops!) illegal. Except Indians, citizens of all other countries have to pay $200 for every day they stay in Bhutan. Landing at the airport is in itself an adventure and as the pilot expertly maneuvers the plane between an intimidating set of mountains, you cannot but help hold your breath. And yet, you must visit the country to walk through the fortresses and museums of Thimpu, the enchanting mountain landscape of Paro, and the Chalela Pass (2 hours from Paro) to fall in love with frozen rivers, alpine flowers, and waterfalls. Well, that’s all for today folks. There are a number of other fascinating destinations that we liked,that could have made the list, but maybe next time. Let us know if you liked this compilation! Shakespeare once suggested that all the world’s a stage. Well, if that’s so, I think we must all tread across it, enjoy while we are there and most importantly keep the stage clean and nice for the next performer to come and do his part. Adios!